Superior performance and security in the most demanding environments. Driven by innovation and market demand the ARCA – IEC is the ideal and cost effective alternative to sheet steel cabinets or fiberglass enclosures needed in harsh and demanding environments. This enclosure is a true game changer, offering the market the largest UL listed, NEMA 4x polycarbonate box in the world, sized up to a whopping 32 x 24x 12 inches. The ARCA – IEC is available in both portrait and landscape orientation. The ARCA – IEC cabinet is the first real enclosing alternative to steel boxes. Thanks in part to its high impact resistance, this watertight UV resistant polycarbonate enclosure will not dent, rust, crack or bloom like steel or fiberglass. The ARCA – IEC also weighs considerably less and is easier to modify than its metal or fiberglass counterparts, saving both time and money. The ARCA – IEC is manufactured in Fibox’s Wi-Fi friendly polycarbonate, a robust, corrosion resistant thermoplastic that simply will never rust. Your components stay dry, and dust free thanks to the formed in place PUR gasket which makes a watertight seal. These are just a few of the reasons why the ARCA – IEC is the ideal NEMA 4 cabinet enclosure for the water and wastewater industries and any other applications in harsh and hostile locations. The ARCA – IEC has a recessed hinge and quarter turn din locks. Fibox offers all the standard accessories you’ll need for your ARCA – IEC. Fibox can easily machine your enclosure with custom cutouts, holes, and recesses at our distribution center giving you a ready-made solution right out of the box. In a nutshell, the ARCA – IEC is more than a plastic electrical enclosure, it has the features of a metal box but all the benefits of high grade thermoplastic polycarbonate enclosure. Dimensions range from 200 x 300 x 150 mm to 800 x 600 x 300 mm. 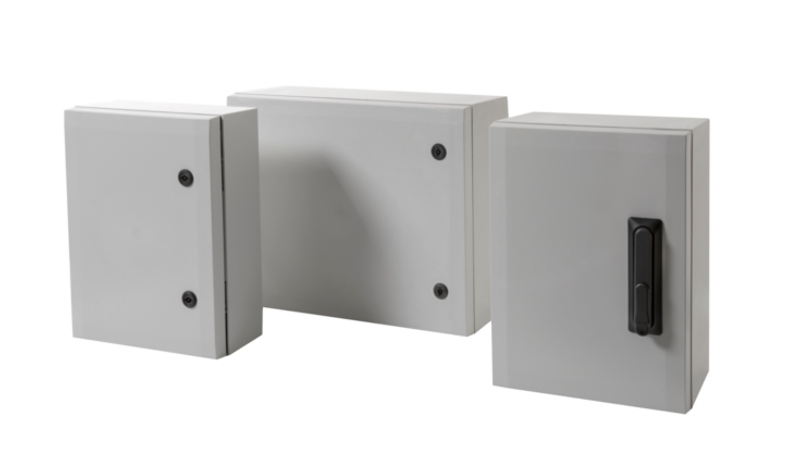 For more information about the ARCA – IEC wall mounted cabinet enclosure, contact Fibox today.